EVLT can be life changing. The 78 year old mother of one of our Physicians had difficulty walking more than a block because of varicose vein pain. An EVLT was performed on both legs on a Tuesday, and she began walking right away. On the following Saturday afternoon, 4 days later, she walked with her young granddaughters from the Lincoln Memorial to the Capitol Buildings (in Washington DC), a distance over 4 miles, without any pain! EndoVenous Laser Treatment (EVLT) is a quick, minimally invasive laser procedure that has shown a 98% success rate providing relief from painful and unsightly legs to people suffering with varicose veins. At our Toronto EVLTclinic only Board Certified Surgeons perform the procedure in a College of Physicians and Surgeons approved Facility. EVLT is a new procedure that takes about 45 minutes. 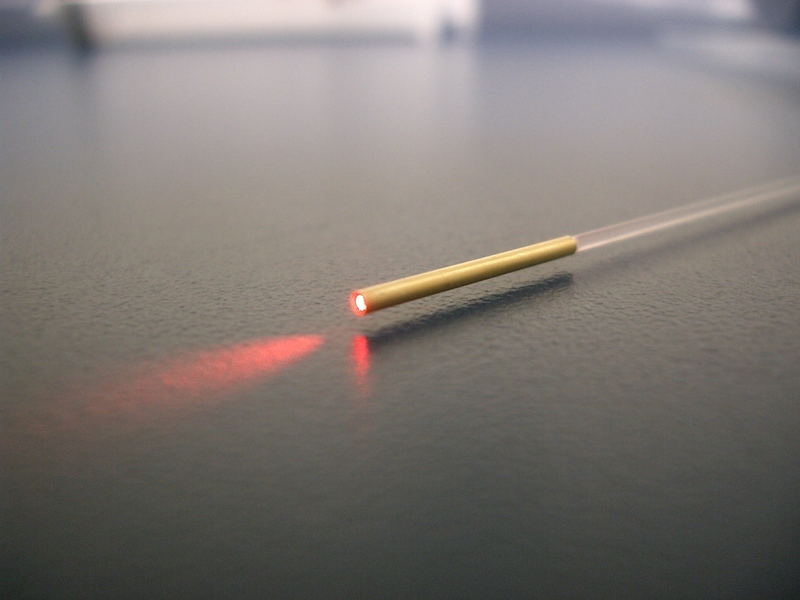 EVLT uses laser energy delivered in a thin fiber-optic probe to treat the underlying cause of the varicose veins. Performed under ultrasound guidance, the procedure uses strictly local anesthetic. Initially the Doctor will consult with the patient about the procedure. This consultation will include a physical examination of the leg and a Doppler ultrasound examination to map the vein to be treated. Once the patient is determined to be a candidate for the procedure, the doctor will make an appointment for the procedure itself. You should experience minimal discomfort during the procedure. After the fiber-optic probe is withdrawn, a compression stocking is worn for 7 days. You may and should walk immediately after the procedure. We encourage normal daily activity and only vigorous activity or visits to the gym should be avoided. You may have some bruising and soreness for 7-10 days after the treatment. You will be allowed to take over-the-counter non-aspirin oral pain relieving medication as needed. Early results have been extremely favorable with success rates as high as 98%, without the complications of surgery. EVLT will normally treat the cause of most varicose veins but additional or complimentary therapy may be necessary in some cases. 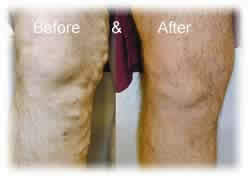 Our physicians will be able to provide the follow-up therapy for these minor cosmetic veins. Insurance coverage varies from plan-to-plan. Our Toronto EVLT office will be able to assist you with insurance and payment questions.